Football is supposed to generally give you a break from life. I notice now that Mourinho’s wins or losses made me just angry and vindictive. I shed a tear watching how good Manchester United played today and caught myself smiling through the game.. 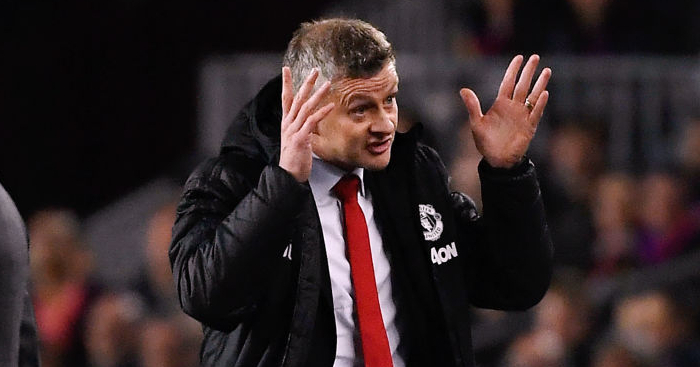 The debate the UK should be having is will Solskjaer’s inevitable champions league triumph with this Utd team rank higher than all 3 of Zidane’s combined? I had this terrible nightmare. 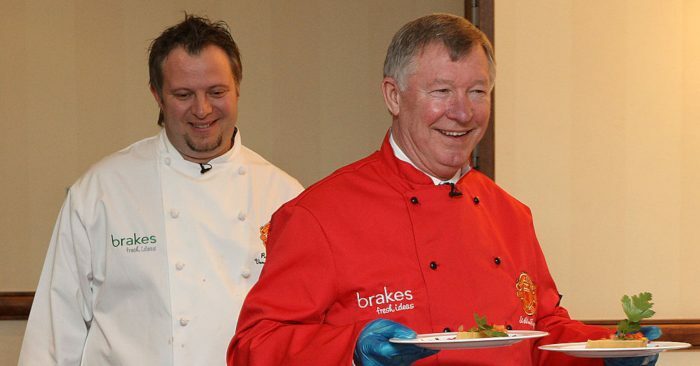 Fergie retired, and United appointed a succession of negative, timid or egotistical managers, who told their teams to “make it as difficult for them as we possibly can” (at home against Newcastle), not to run too much for fear of getting all sweaty and muddy, and to let the other team have the ball as much as possible. Games dragged on interminably, and seemed to be broadcast in slow motion with a grey filter. In the depths of this depression last weekend I even taped the Liverpool – United game and watched it after seeing the Bears finally beat the hated Packers. Today everything is in colour, rather like one of those commercials for laundry detergent showing how their product doesn’t fade your clothes. 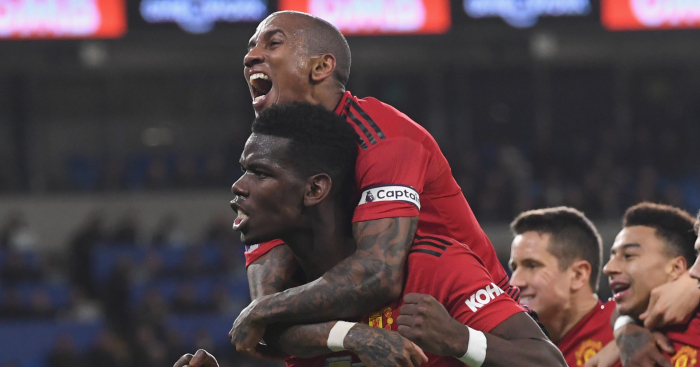 Yes it was only Cardiff, and a very poor Cardiff at that, but in part they were poor because United made them poor, just as United have allowed a succession of mediocre teams look aggressive and potent against them in recent times. The Bears’ story this season is one of redemption, winners of the NFC North division having finished last over the previous 4 seasons, and playing exiting, innovative “football” with a smile on their faces. All this under a rookie Head Coach Matt Nagy who has placed emphasis (among other things) on having fun, and giving credit to his players, coaches and other staff. It helped that he has a roster of talented players. 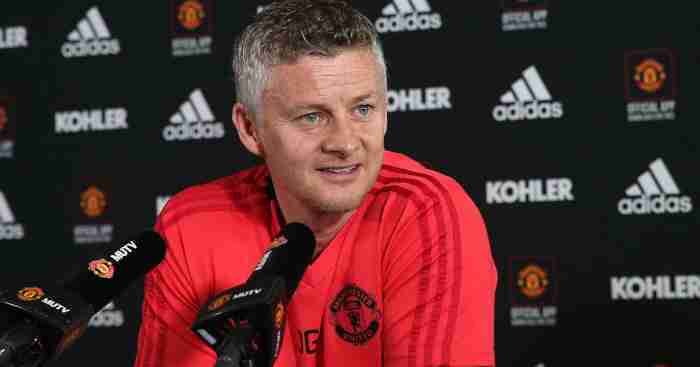 Obviously Ole has not had time to put his stamp on this United side yet. 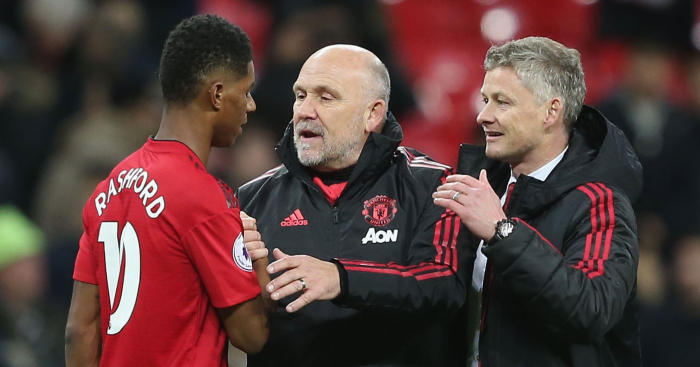 There is still a host of things that need to be done much better (movement off the ball is one glaring example), but what a relief that the manager trusts his players to express themselves, and how refreshing to hear him give credit to the players, Mike Phelan, and even Wayne Rooney rather than bigging himself up. It helps that he has a squad of talented players. United won’t win the League or the Champions League this season, and are an outside bet at best for the top four. But hey, at least we should have a bit of fun between now and May. We are pressing… High line…plus pass and move… Is this a dream?????? Football does not have to be science. A Premature Happy United Fan. Regardless of performance, can I just say how refreshing it was to watch a Man United game without the camera cutting to Mourinho for his reaction to every single moment of action. While I understand the celebrations after whipping Cardiff, please remember that it’s only Cardiff and Man United most probably won if Mourinho had still been in charge (though maybe not winning 5:1). After a kind run of the next 4-5 fixtures, the real test comes in January. Calm down lads, it’s only Cardiff! Wow, seven years later and Roy Hodgson finally gives Liverpool something. 1. Get Townsend on the plane. 2. Palace spoiled for us Pool in 2014 with a crazy 3-3 draw. They just might have offered us a massive apology in form of this win. 3. Sakho, Wan-Bissaka and the rest of that palace defense should be checked extensively for installed SAM and Air to Surface Defense System components. Townsend too to be checked for a piece of artillery in his left foot. No, no, no, no, no, no, no. It’s not happening*. I had a mail published after the United game talking about how Alisson’s mistake meant f*** all in the context of things. Watching the Wolves game last night something struck me, maybe I’m a bit late to the party but at the moment luck is seriously on our side. I mean we gifted wolves enough chances yesterday that we could have actually lost had they put them away. Mahrez’s penalty miss, Pickfords error, I’m sure there are many more instances this season where Lady Luck has smiled on us this season. Now I am not for one second taking any credit away from city last season, they were amazing, but there were a few games were they scraped a win from the jaws of a draw, even the missed penalty from Palace could have been a defeat. As good as United were back in the day, I remember watching some of there games thinking how lucky they were, how the hell did they win that game! It just shows that no matter how good your team is on paper and how many good performances you put in, getting the rub of the green, that little bit of luck is probably the biggest factor of them all. I mean if Gerrard wasn’t so unlucky and slipped, we win the league that season I don’t think anybody would argue with that. So here is to luck, you have faired us well so far so please just stay on our side for a few more months. Lovers will see the deft flicks to open up space when we were under immense pressure and the through ball for the first goal and lord him as one of the best in the premier league. Detractors will say that the reason we were under so much pressure is that the central attacking midfielder is our out-ball a lot of the time when trying to pass out of our own half and he’s too weak, too slow and too timid to command that area of the field. Personally I feel Ozil is a total luxury and we look much more assured without him on the field. He has scored and created some wonderful goals but Arsenal did that before him and will do it long after he is gone. At 3-0 up he’s the best player you could ever have and a joy to watch. Tight games or trying to claw back a lead he is infuriating and a waste of an outfield player. Dyche’s post-match comments this weekend got me thinking what a dearth of good interviewers there are in English football. A good interviewer should challenge what the manager says, not just collect quotes. Otherwise why bother with an interviewer? Just let the manager record their own comments. Only one of the journos in this weekend’s post-match press conference came close to challenging Dyche. Mourinho, Hughes etc got away with talking nonsense for years. Am I wrong? Are there any strong interviewers out there who challenge deliberately false post-match comments and add value to the process? Now that Stoke are gone I’d say Burnley are the dirtiest team in the league and I hope they go down. Emery was right to call Dyche out on his behaviour. Sending your team out to be physical is fine, as long as you accept the consequences. Sending your team out to be physical while simultaneously putting pressure on the ref creates a dangerous environment where players might get away with things – like stamping on an opponent’s chest or kneeing them in the small of the back when they’re in the air – that they really shouldn’t. Following that up with deliberately false and distracting comments after the game ensures the dangerous environment survives until the following week. Eventually someone will get hurt. 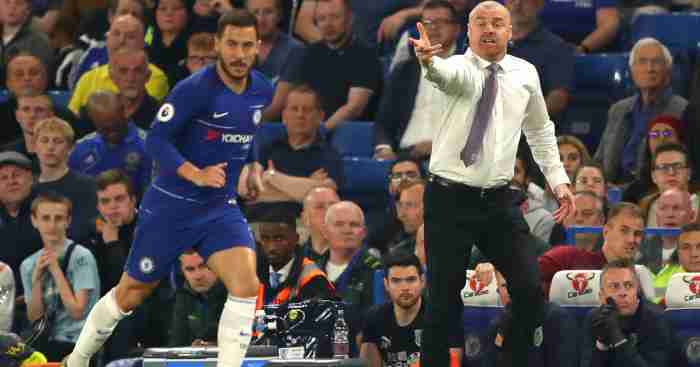 I realise with the surprise results at City and Chelsea together with Liverpool’s victory and Man U fans decrying their team is ‘back’ this may be a tough mailbox to get in to but I wanted to make a point about Sean Dyche. First of all Dyche has done a fantastic job at Burnley and has the right to play the game however he feels is the best way for his team to earn points (and here is the important bit) as long as that way is within the rules of the game. If you decide to bend those rules and try to level the playing field by basically making a game of football a fight then don’t cry and moan when a) a ref pulls you up for some of that shithousery and b) your opponents start bending the rules themselves to counter your tactics. Dyche seems to think he is on a one man mission on behalf of the British public to eradicate diving from the game so that we can all enjoy football again. Dyche is the sort of manager who still believes in the notion of if you get the ball it can’t be a foul and that ‘man and ball at maximum velocity’ is the perfect tackle. Dyche’s team kick, fight and wrestle and bend/break the rules at every opportunity. I lose huge amounts of respect for Managers like Dyche who get soundly beaten and choose to pick on some very insignificant ref decisions he perceived to go against his team whilst ignoring his own striker get off Scott free for stepping his studs on the chest of an opponent lying prone on the floor. Arsenal’s last two home games v Burnley and Huddersfield have seen both away teams intent on kicking anything in red and white. The difference now is that Arsenal are giving it back, Sokratis, Kolasinac, Xhaka, and the angriest footballer ever, Lichtsteiner won’t take any of this nonsense. As an Arsenal fan it is refreshing to see us get under the skin of a manager/team intent on setting their tactics to prey on a perceived weakness by giving it straight back to them. 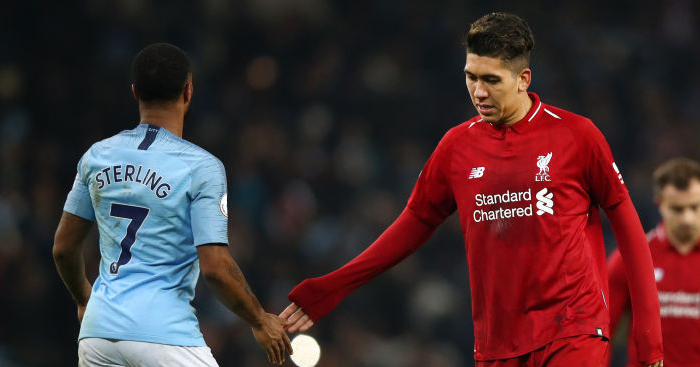 Is this season sh*t or bust for Man City and Liverpool? The runner-up will have given their absolute best and still come up short. Man City or Liverpool will be deflated.